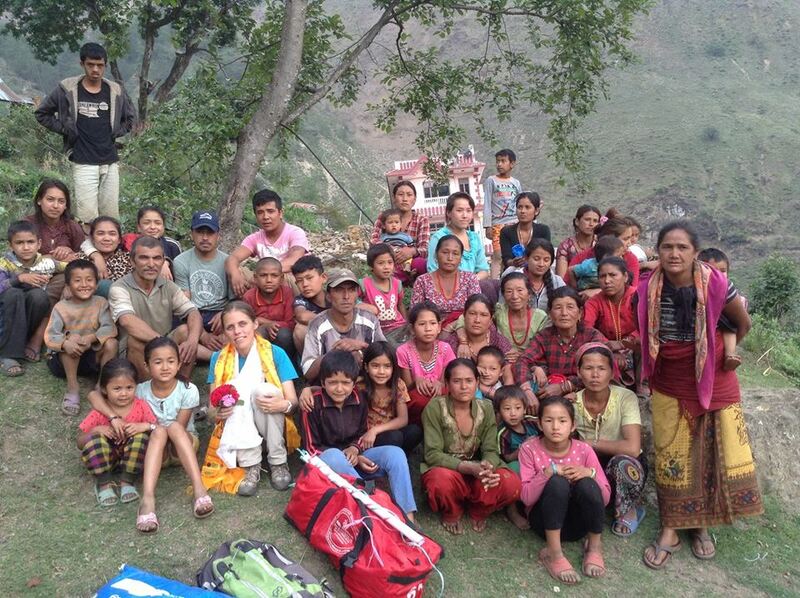 My sister Kate & her husband Rahul are lucky to be safe following the devastating earthquakes in Nepal. 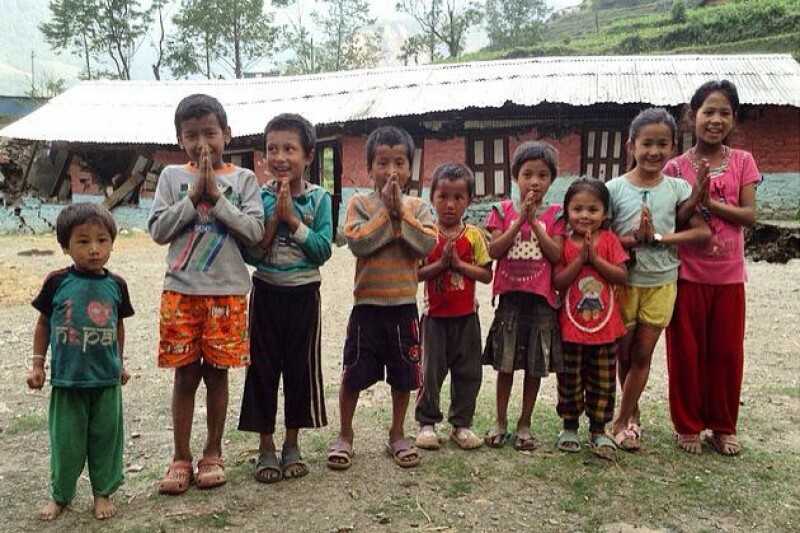 Being on the ground in Kathmandu they are experiencing first hand the devastation and they need our help! 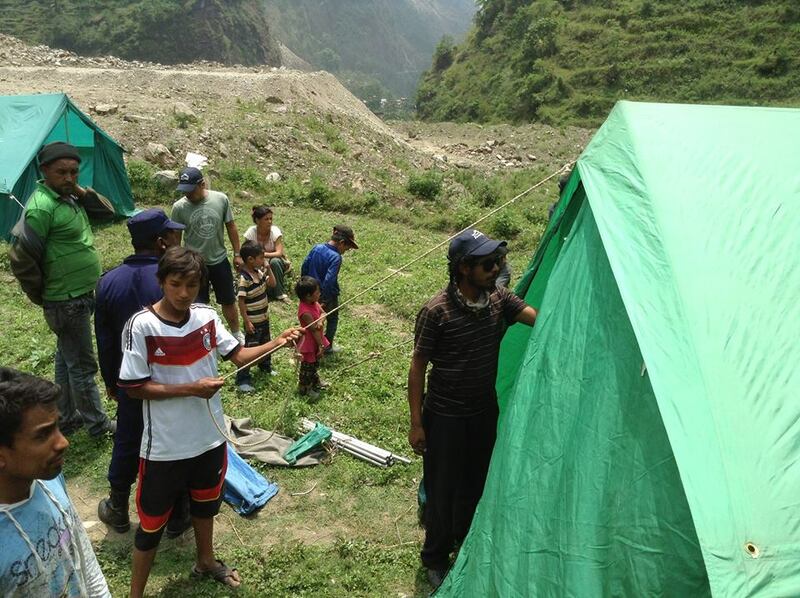 Through their trekking company connections, they have managed to source some new and second hand tents to provide immediate assistance as foreign aid is taking some time to reach those in desperate need. Their idea is very simple, they have people power that can get materials by foot to villages that are cut off and are looking for financial assistance to help save lives. 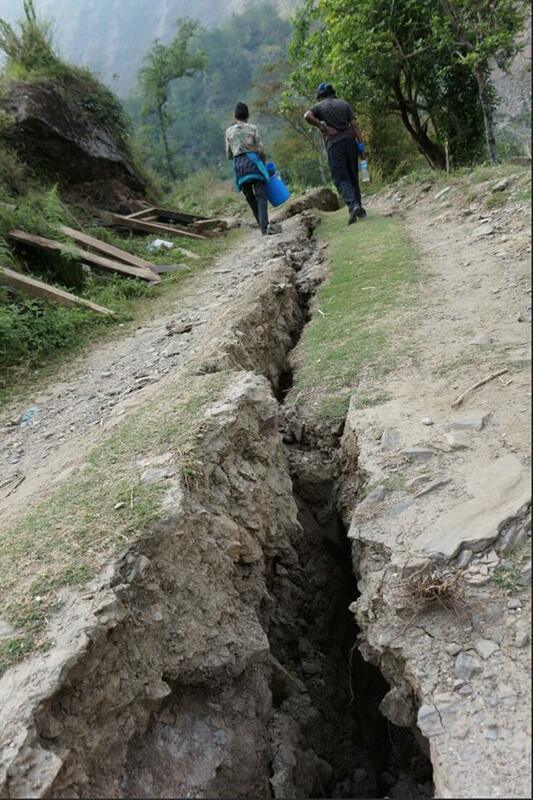 Outlying villages from Kathmandu have been cut off by road and are not being provided with assistance. People are living with their children in unsafe environments as they have no other choice. We are looking to raise $5000 for 10 x 20 man tents and 2 water tanks to help out 200 people, but would love to be able to double of triple that number if we can get the support. To make matters worse Nepal is entering monsoon season so the urgency of this help is of utmost importance. Will be providing updates with pictures of where the assistance is being utilised. Update: We are now less than $800AUD from our goal! Today has been a productive day for the Down to Earth Adventure team as we prepare for our latest mission to Shyama VDC in Dolakha district on Wednesday 20 May - Thursday 21 May. First we were able to meet with two Shyama locals, Girme Sherpa Lama and Pemba Sherpa who are in Kathmandu to try to arrange aid materials for their village which is severely damaged by the recent earthquakes. There are approximately 2700 people in their village who urgently require shelter and rice. Shyama is divided into 9 blocks of 300 people. We are able to provide 112 tarps, 200 metres of foam mattress, 19 x 30kg bags of rice to add to the 50 bags of rice that Dr. Kurt Salvatore of Being Homo Sapiens is kindly donating. 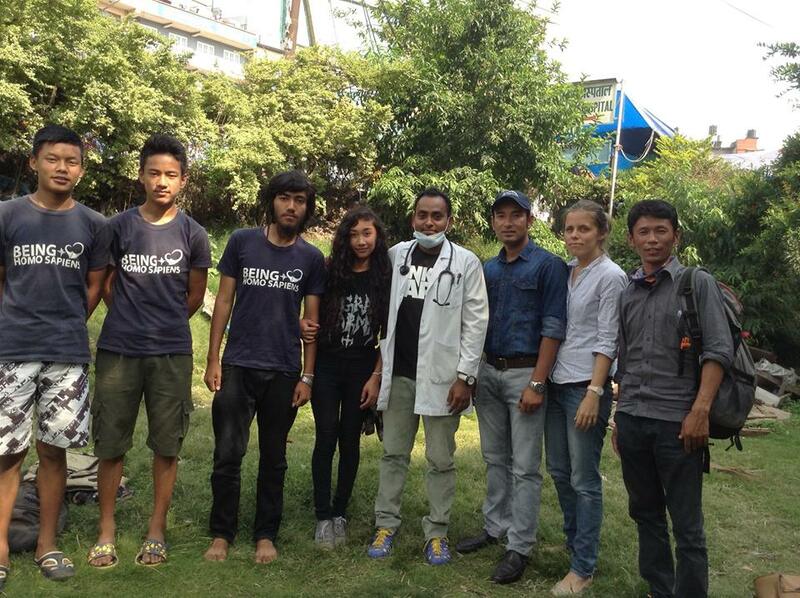 Our champ, Oanchuk Sherpa, was critical in sourcing two big boxes full of life-saving first aid medicine. This will come in handy as Dr Kurt Salvatore is putting together a medical team under the banner of Being Homo-sapiens charity so as to set up a clinic for the locals who are currently cut off from medical treatment. Tomorrow we will make the final preparations for the trip... stay tuned for further updates! Once again thanks for all your support as it is your generous donations that have made this happen! We are so close to our goal of AUD$10,000 thanks to our gofundme page and from private donations we are now around $1500 off target. We are very keen to head off on our second trip to Dolakha with our existing Down to Earth Adventure crew plus a medic team provided by Kurt Salvatore and his charity Being Homo Sapiens but we are still short on funds to purchase the three LifeStraw Community water purification units that will provide hard hit villages with clean drinking water... something we all take for granted. Each unit costs USD$330 and can cover a whole village... these units are crucial in saving countless lives in the days, weeks and months to come. We are overwhelmed with the support we have received so far... you have given us the capacity to help hundreds so far. Please continue to share the gofundme link with anyone and everyone that you can think of... even a small donation can help towards our bigger target. Everything counts. An update from Kate & Rahul..
After only 4 days back in a house we are back to the tent again. After the big one yesterday we had aftershocks throughout the afternoon and into the early morning. People are crying and screaming during the day and night. We just got word from the Sindhupalchowk village that we went to last Friday to deliver aid and we are so thankful to report that nobody was killed. 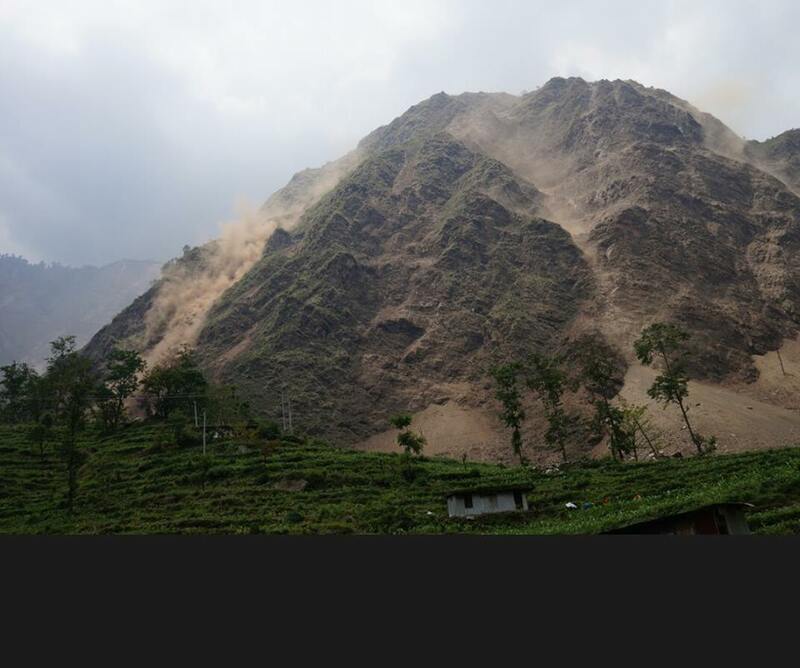 They had a major landslide and they are cut off by road, but at least they are all alive. All night I felt sick with worry for them - those people are completely cut off now but at least they have the food, supplies and shelter they can draw on thanks to each of your donations. Unfortunately yesterday's quake has caused more deaths and many more injuries. About an hour before the quake I was talking to a doctor about putting together a relief package targeting the rising problem of contaminated water and poor sanitation spreading life-threatening illnesses to the victims. We are committed to doing what we can, we just need to re-group and see how we can now best target the donations that our friends and family have so generously given. Thanks for all your prayers and thoughts and please continue to share with your friends so we can get out and help where we can. 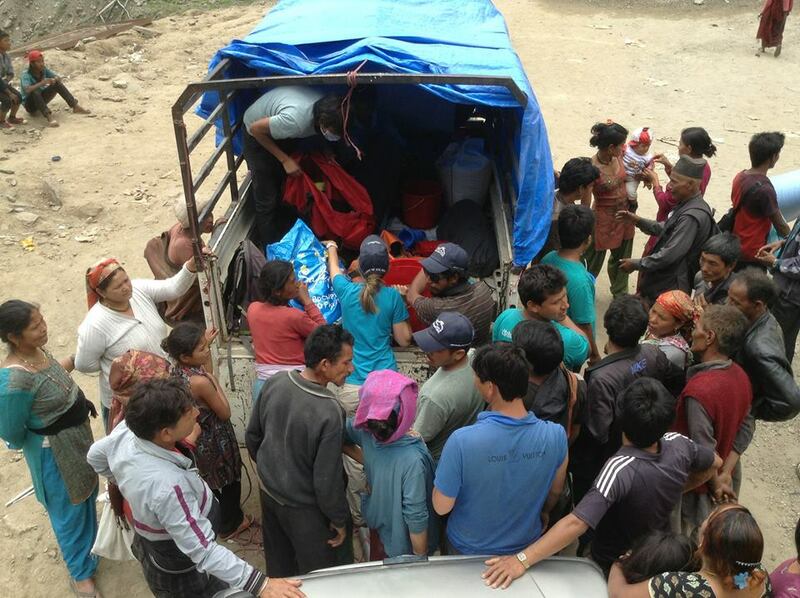 Our amazing team of Kate Miles, Rahul Shrestha, Arjun Koirala, Khadka Sudip, Anup Poudel, Temba Bhote, Oanchuk Sherpa worked a 'miracle' Friday to ensure that about 300 people now have shelter in one of the worst affected areas in Nepal. Anup Poudel (local community leader from Ghadi) showed excellent leadership skills to liaise with local people to coordinate the operation and ensure that the tireless efforts of our team and the many locals who jumped in to help distribute materials, make sure that our team had tea and food etc, worked beautifully. Anup also drove one of the jeeps on top of all of his other efforts! We had a convoy of two jeeps and a small truck that departed Kathmandu at 6:30am and after making it through a number police checkpoints and a delay while Chinese aid workers cleared the road from a big landslide we made it to our site after 6 hours of driving. Our team were pretty tired when we finally arrived at 11:30pm in Kathmandu. Thanks so much to everyone for making this first trip possible. Because of your generosity 300 people now have safe shelter, food and basic first aid to help them with the current outbreaks of gastro. Many locals wanted you to know how much they appreciate the basic materials that we were able to provide them. 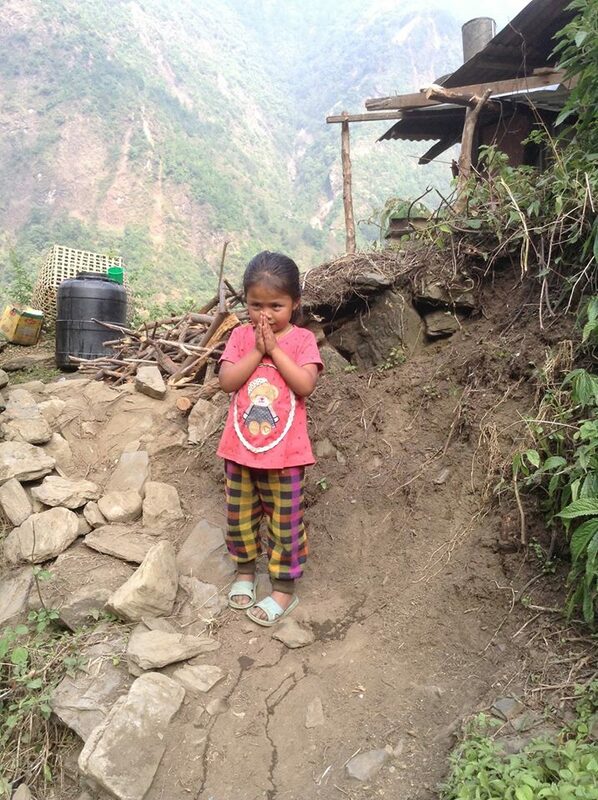 You have really brought hope to a community that is completely devastated by the earthquake and constant landslides. We now need to make an urgent second trip to this area before the monsoon starts and the people are cut off from further help. We will be updating soon with our new plans including helping out with the local school so the children can get back into some kind of routine. Please continue to like and share so our message spreads! Proceeds of the bake sale at my work. I'm so glad we are able to help you!